"I'm sixteen, and I really want to major in and have a job that has a lot to do with zoos and working with animals. What advice can you give me to fufill this?" This is a great question, and it's one I've received quite a lot through the years. Many people feel naturally drawn toward animals, so when they see a zookeeper tromping around with an elephant or hitching a ride on Shamu's snout, it seems like a perfect career choice. And it is a perfect career choice for many people, but it's also way harder--and way less glamorous--than it looks. That's why it's so important to have an accurate understanding of what a zookeeper actually does before taking the leap and deciding to become one. StateUniversity.com sums it up perfectly: "Zookeepers do not have glamorous, high-paying jobs; they enter the field because of their love for animals. Much of their work requires physical strength, patience with the animals, and the ability to make detailed observations and keep accurate records. "Captive animals require attention twenty-four hours a day, seven days a week, so the hours can be long and exhausting. A special kind of dedication is needed to stay at a zoo through the night nursing a sick animal, or to get up in the middle of the night to meet a pair of rhinos arriving at the airport. Animal odors and the smell of cleaning fluids may be disagreeable to some people. Having to euthanize old or sick animals can be emotionally stressful. However, most people who enter the profession love animals and receive great satisfaction from helping and working with them." Peter Dickinson also puts it in perspective: "Are you really sure that a zookeeping career is what you are after? It is not like other jobs because it is not simply work. It is a vocation, a way of life. Forget about making money, forget about becoming famous, forget about 9 to 5 and long holidays. Be prepared to face extreme cold or intense heat, rain, hail, snow, gales and lack of sleep. You are guaranteed to work long hard days when you have a hangover or headache and would have much preferred to have stayed at home in bed. It is highly likely you will have to skip holidays or days off at a moments notice. Don’t expect applaud or thanks or even sympathy because you will not get any. "Still Interested? Then read on. "What you will get is job satisfaction. The chance to contribute to our understanding of animals and an important role in ensuring that they remain on this planet for future generations to enjoy. You will have the chance to work outdoors in the best of weather too... You will become a member of a big zoo `family,` assured of a welcome wherever you go. Whereas there will be repetition in your daily routine, no two days will be exactly the same. You will not get bored. You will become party to one of the worlds best kept secret.... that zoo keeping is the world's best profession!" "Since there are more would-be zookeepers than zookeeper jobs available, it’s important to start working toward getting your ideal zookeeper job as soon as possible. If you live in a major city, it’s quite likely you have a zoo where you can volunteer. If you don’t, then work on volunteering at humane shelters, or look for private wildlife reservations where you can volunteer. "Often zoos welcome volunteers in their early teens, though jobs with more responsibility may be held for kids who are 16 years or older. Some zoos offer one week summer camps to train those who would like to be zookeepers. If you can’t work at a zoo close to your home, consider saving up for one of these camps. Volunteering and experience with animals is an essential quality for getting hired at a zoo. "Even before middle school and high school, begin studying and reading everything you can about wildlife. Subscribe to a few quality wildlife magazines... Also work hard in science classes and speech courses. As a zookeeper you will need to have a good background in animal science, but you may also need to make presentations to visitors to the zoo, so good speaking skills are a must." "...College study to become a zookeeper should focus on animal science, zoology, marine biology, if you are interested in aquatic parks, and animal behavior and psychology. You might even want to ask a nearby zoo what qualities they look for in employees, and what type of employees they hire. This can help you direct your choice of college toward the schools best geared toward helping you fulfill your dream of becoming a zookeeper. "While in college, don’t forget to keep volunteering at zoos or shelters. In fact, you may want to choose a college close to a major zoo, so you can get impressive volunteer credentials and superior training. 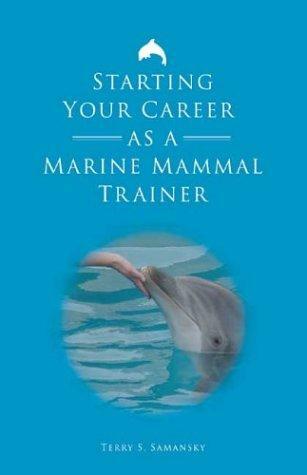 "In addition to lots of experience and a good education, a zookeeper must be physically fit. Your job will not involve a lot of sitting, so keep yourself in good shape, and practice some weight lifting. When feeding animals or cleaning cages, you may be required to lift as much as 50 pounds on a regular basis. "Be prepared to work flexible hours. Zookeepers often work every day of the week, and may work a swing shift or midnight shift, since animals need around the clock care." I hope this answer was helpful, Maya, and best of luck as YOU start your career. Please let me know if you have any more questions; I can talk about this stuff all day! Also, thanks to everyone for tuning in to this installment of my Wildlife Wednesday series, and make sure to check back next week for a brand-new nature article. Have a wonderful week! Written by LisaAnn On January 18, 2012 In "ask a zookeeper", "how do i become a zookeeper", "lisa ann chickos", "lisa ann o'kane", "lisa ann okane", "marine mammal careers", "wildlife wednesday", "zookeeping careers"